Shocking as it may seem, many creative marketing projects get kicked off without strong strategy to back its execution. At best, many of these projects have an ambiguous scope with vague expectations between the client and the talent. The outcome – an arduous and expensive creative development process with too many iterations and depleted momentum. So, how do you avoid this blunder? We went back and looked at past projects that did not do so well and an overwhelming reason for the lack of success was the brief. We decided to revamp and are excited to share our Creative Brief. We believe a great brief leads to imaginative and persuasive marketing campaigns and helps you get there quickly. How will the new brief help ? Gather critical project information ahead of the project kick-off so that the talent team has all the critical information to start projects and avoid project delays. Better talent matching for each project. 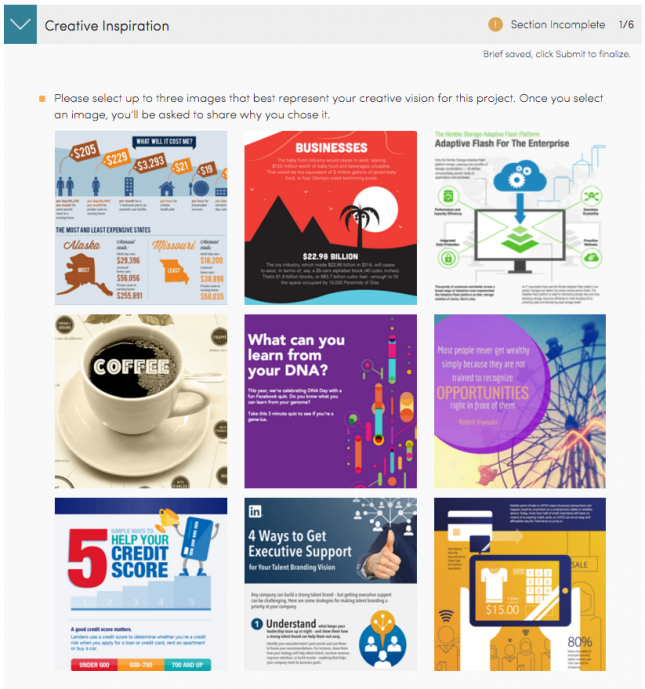 Creative Inspiration: This is where you can really communicate what you have in mind for your project. With sets of finely curated thumbnails for styles relevant to video and graphic design, including illustration, technical design, information design and data art. Clarifying the visual language through these examples as early as possible and explaining what you like about them will help your team nail your design. Execution: The questions in this section help capture the essentials details around launch and distribution – how and where your content will be used? These are the most common questions that pass between the creative teams and clients, so we’ve collected them here to jumpstart the process. Existing Materials: Here we ask for documents, links, and brand guidelines to get the job done right. Sharing these essentials as early as possible avoids headaches down the line. Your Creative Brief will act as a compass to your talent team as they bring your project to life. 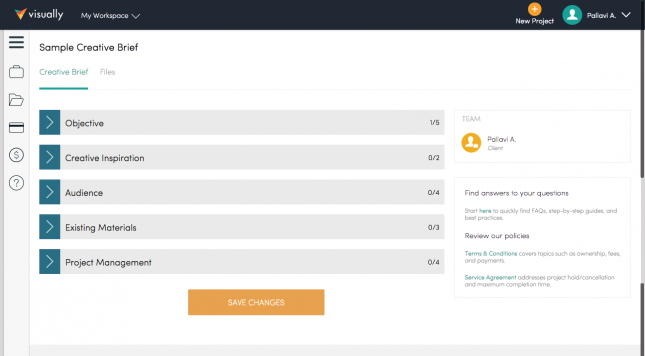 It should include all the resources and detail needed for your team to begin work. 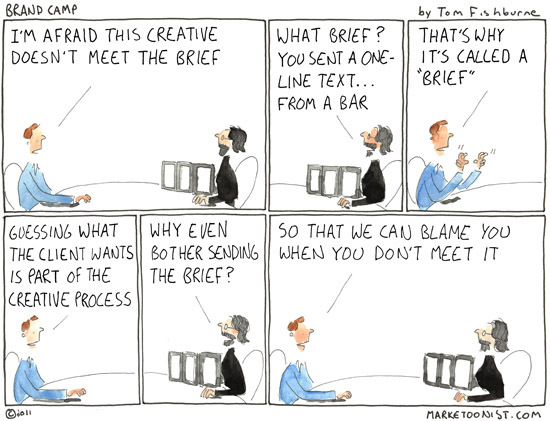 So what will you put in your creative brief? To get you fired up about filling out your next brief, here’s a killer checklist we put together to make sure you’re creating yours with the most constructive information to make your project a success! Pallavi Arunika is a Senior Product Manager at Visually and is closely involved with launching features across Visually platform.